Elements Golf Reserve - Lodge 2 - Bela-Bela Accommodation. 1/20 - EXTREMELY AFFORDABLE, Luxurious Busveld Accommodation! 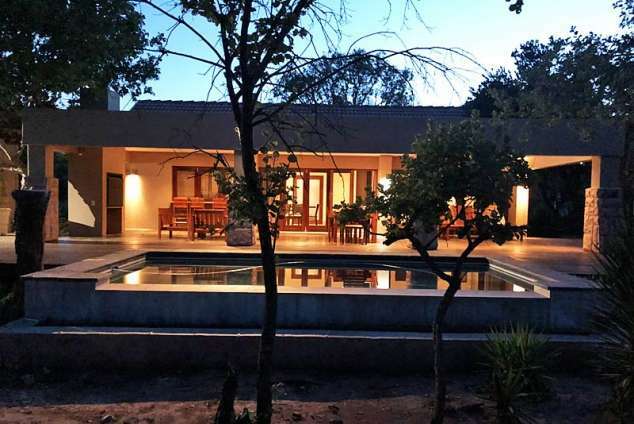 2/20 - Bushveld luxury & Out door living! 3/20 - Tranquil and safe arrivals and bushveld stays..
4/20 - Outdoor living, swimming, with wildlife and bird viewing! 5/20 - Open space living, fully equipt! 6/20 - Open space living, fully equipt! 10/20 - Open space living, fully equipt! 11/20 - Large boma bushveld experiences..
14/20 - Golf, cycling, walking trials, tennis, game viewing etc. 15/20 - Golf, cycling, walking trials, tennis, game viewing etc. 16/20 - Best golf experience ever... in this wildlife reserve..
17/20 - Lovely nature and game..
18/20 - Golf, cycling, walking trials, tennis, game viewing etc. 19/20 - Outdoor living, swimming, with wildlife and bird viewing! 20/20 - Outdoor living, swimming, with wildlife and bird viewing! Conveniently situated and an easy 90- minute drive from Pretoria, with a host of leisure facilities and the surrounding reserve with its wild life provide endless opportunities to embrace the tranquillity of the Bushveld. The area is malaria free. This magnificent, fully- furnished, lodge has 4 large, tastefully decorated en-suite bedrooms, sleeping 8 adults. All bedrooms have a private front entrance and hosts two three-quarter beds each. An en-suite bathroom consisting of bath, hand basin, shower, separate toilet and a private outside shower with hot and cold water. Open plan lounge with dining area and an ultra-modern, well- equipped, granite kitchen including fridge/freezer, washing machine, dishwasher, a microwave and Scotsmans ice machine. DVD player and DSTV in the lounge. Outside a large deck provide for stunning sun rise and sun set views, while the private pool provides a refreshing welcome. The open-air LAPA caters for the outdoor-lover on the lookout for the sky lights of Africa. While sipping on a cocktail on the large outside deck, guests can enjoy viewing some wildlife roaming around. You can also enjoy the cosiness of a large fire in the BOMA with its fire pit. The lodge has an automated double garage. Linen and towels is included. No pets allowed on estate and in unit. NO SMOKING in the unit. Excellent Cell phone and 3G Data Reception (Vodacom and MTN). Enjoy a round of golf at one of South Africa's top-rated golf courses in Africa's natural bushveld. Elements Private Golf Reserve lies within 490 hectares of bushveld which combine the wonders of golf with the natural wildlife and habitat of the African bush. Built to USGA specifications with ample practice facilities and a club house with endless views. Mabalingwe and Zebula Country Club are a few km away. The De Wildt Cheetah sanctuary within 7km from the home offers guided tours, booking is essential. 2251 page views since 09 Feb, 2018.